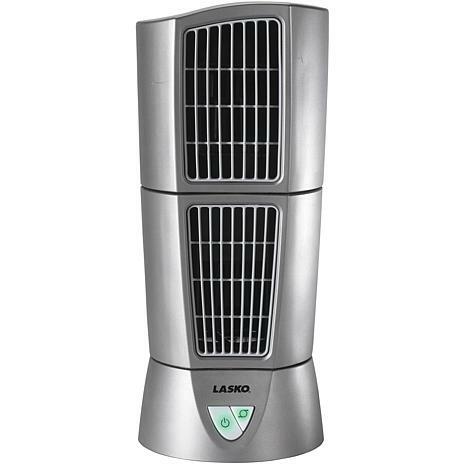 The Lasko 4910 Desktop Wind Tower Fan, in platinum, is a space-saving desktop fan that has a slim 6-inch diameter. 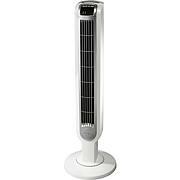 The top module oscillates 45 degrees or can be locked in a fixed position. For precision air delivery, pivot and lock the top module so this unit can move the air in two different stationary positions at once. For even greater coverage and versatile air circulation, combine the pivot with oscillation. It is ideal for tabletops, desktops, workshops, health clubs, stores, classrooms, offices, hospitals and other areas where there is limited space. Features include three speeds, front-mounted electronic controls, integrated carry handle and a 120-volt permanently lubricated motor. 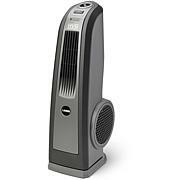 Its unique look, amazing performance and portability is perfect anywhere you want to keep cool. 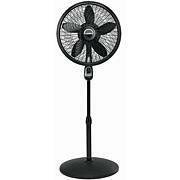 Fan is sleek and attractive. 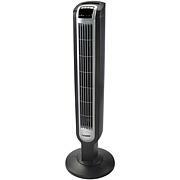 It's quiet and 2 speeds and oscillating feature make it versatile for a small room or area. Nice small size, great looking, works like a charm. Glad I bought it.